Bite Free Skin Cream Pocket Size | BUDK.com - Knives & Swords At The Lowest Prices! 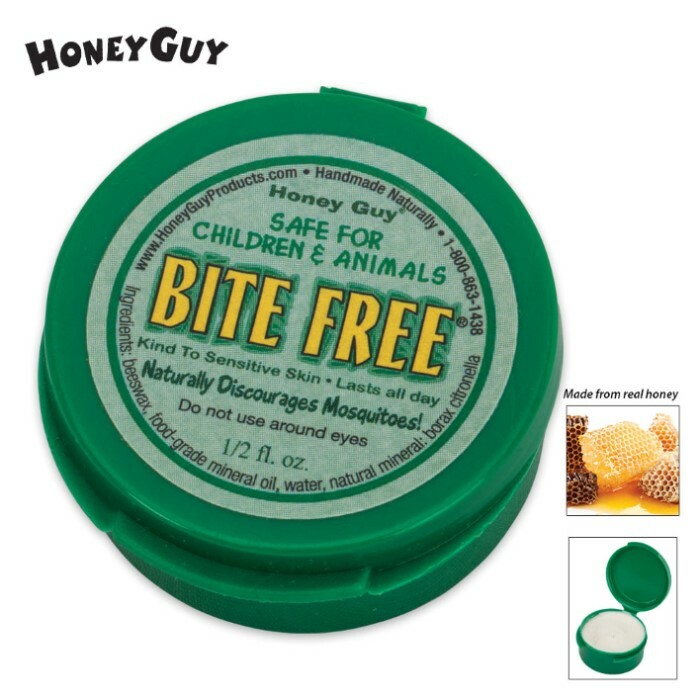 Bite Free Skin Cream gives you a long-lasting, waterproof protection from those annoying, biting insects. 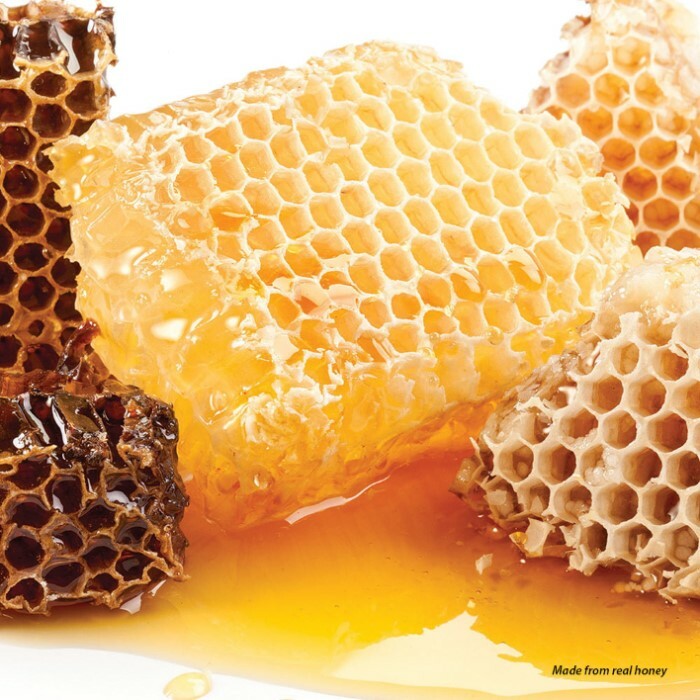 It is safe and natural with citronella as the active ingredient and a beeswax skin cream as the base.It is made of all-natural ingredients with the base being beeswax and wildflower honey harvested locally from East Texas beekeepers. 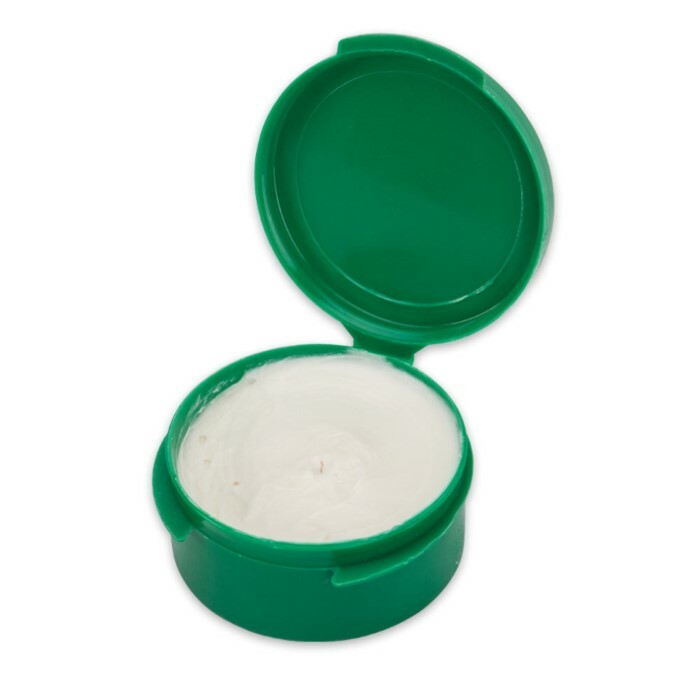 This is perfect for children and those with sensitive skin. Don’t go through another season without this all-natural, non-greasy product.